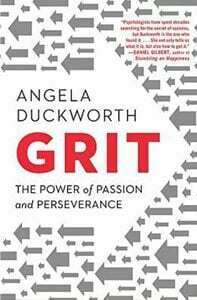 Grit: The Power of Passion and Perseverance by Angela Duckworth is a New York Times bestselling book that explores the different elements that lead to success. We will explore the topics with regard to how they relate to student learning. Meet with fellow instructors to share insights around the topic of how students learn. This book has 13 chapters that we will explore over 9-10 sessions (meeting from Sept. through May). Books will be provided. Open to all faculty. The book has 13 chapters that we will discuss over 9-10 sessions (meeting from Sept. through May). Books will be provided. Open to all faculty. Meetings will be held in CETL and the schedule will be determined by the participants.